The Wirtz Gallery at the First National Bank of South Miami is a public art gallery featuring month-long exhibits by local, national, and international artists. 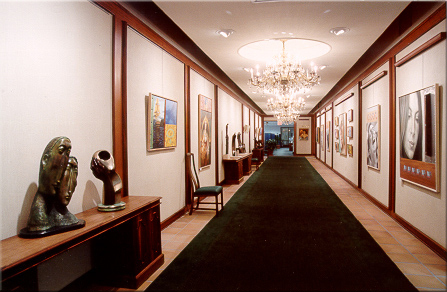 The Wirtz Gallery was opened in 1983 in memoriam to Arthur M. Wirtz, past Chairman of the Board of the First National Bank of South Miami. The mission of the Wirtz Gallery is to provide a professional setting for all levels of artists to display and sell their artwork, with no fee due to the gallery. It provides the public with the opportunity to enjoy art of all types of media. The artist is invited to host an Opening Night Reception generally held on the first Friday of the month from 6-9 p.m. The general public and clients of the Bank are always invited to meet the artists during opening night receptions. “I have had only the best support from Wirtz gallery. Along with the fact that the space is very lovely, elegant and easy to install the artwork, the gallery is situated in a very prominent and in the beautiful city of South Miami. After our exhibition clients have called and visited us for acquisitions of my paintings.